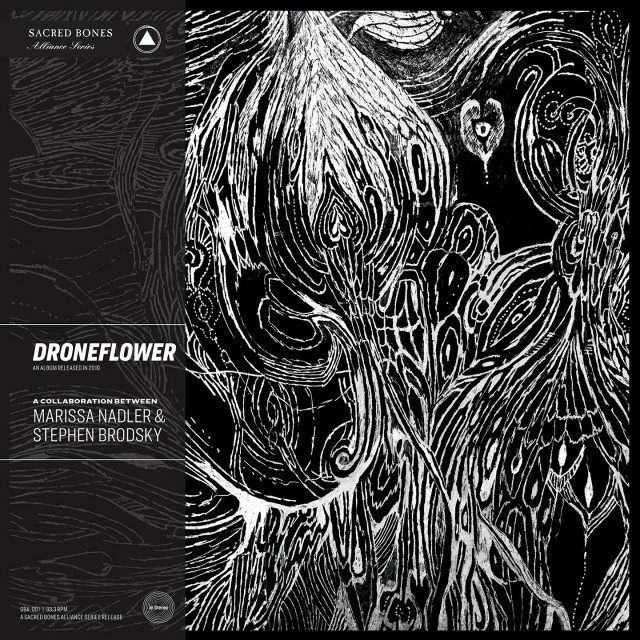 Goth-folk singer-songwriter Marissa Nadler is teaming up with with Stephen Brodsky of Mutoid Man and Cave In for a collaborative full-length called Droneflower. We’ve already heard one song from it, “For The Sun,” which showcased their particular blend of ghostliness and heaviness. And today, they’ve shared another track. Droneflower features two covers, one of Morphine’s “In Spite Of Me” and one of Guns N’ Roses’ “Estranged.” Today, Nadler and Brodsky have shared their rendition of the latter, reshaping the epic 10-minute power ballad into a spectral folk-rock odyssey. A press release notes that “Since childhood, Nadler had been transfixed by the ‘Estranged’ video where Axl Rose swam with dolphins.” Listen to Nadler and Brodsky’s version of “Estranged” and revisit the original below.